We’ve been incredibly excited about the new Venom standalone film starring Tom Hardy. We first met the character in the, shall we say, unique third installment of Sam Raimi’s Spider-Man trilogy. The character, played by Topher Grace, had so much potential, but got overshadowed in a highly crowded, convoluted film. Luckily, we’re getting another chance, and will see the character in his own standalone film. It lands in theaters October 5th, and note, though Venom is a character most often seen in the Spider-Man universe, this film isn’t going to be a spinoff or sequel to Spider-Man: Homecoming. If you’ve never heard of Venom before, his real name is Eddie Brock, and he’s a reporter for the Daily Globe. When he encounters an alien life form called a symbiote, his body is transformed into a wall-crawling creature that definitely does not get along with Spider-Man. 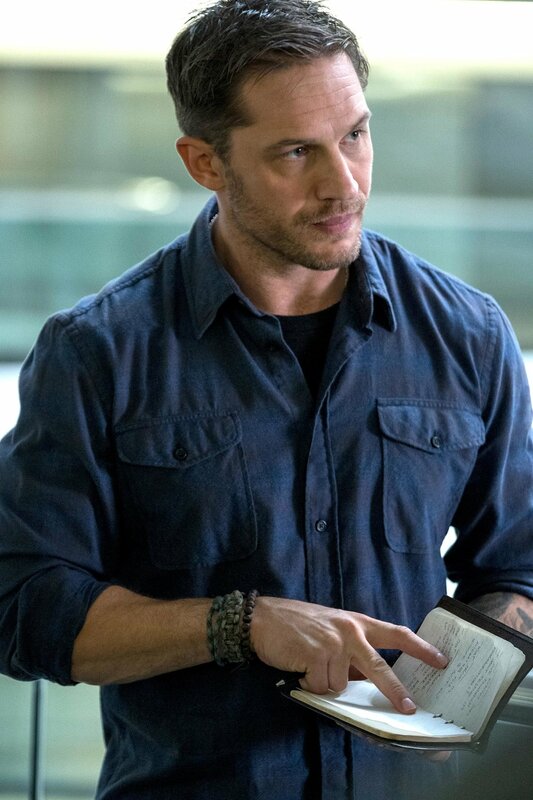 While it would be rad for this first look into the film to give us a snapshot of Hardy as Venom, it only gives us a snapshot of him as regular old Eddie Brock. So yeah, the picture isn’t that Earth-shattering. However, as Entertainment Weekly reports, the notebook in Eddie’s hands has questions scrawled on it about an organization called “The Life Foundation,” which is a group from the comics that built a bunker to hide from a believed, impending nuclear war in the Cold War era, as well as a group that used the symbiote to create other creatures like Venom. So it stands to reason that Eddie could find himself transformed after digging too deep into a story about the inner workings of The Life Foundation. Whatever the case, we’re intrigued — and hopefully, we’ll get a substantial look at Hardy as Venom in the near future.